With the introduction of the Apple iPad, business professionals have another option to be productive while away from their office or desks. Apple announced that the iPad is compatible with the thousands of apps that are currently available for the iPhone. 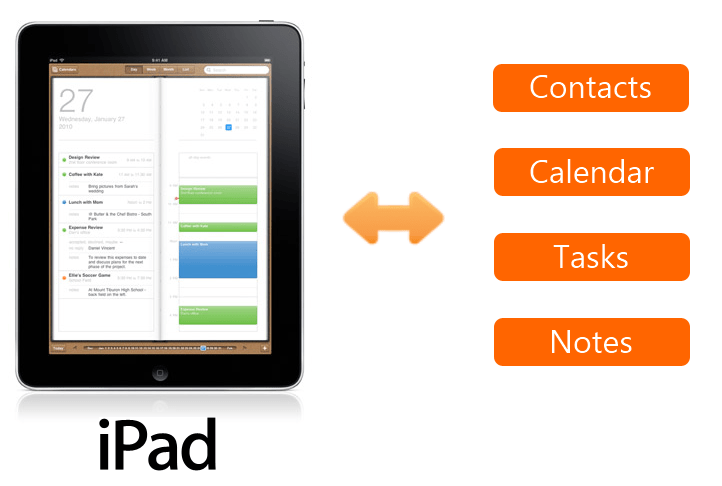 CompanionLink plans to fully utilize the tablet-friendly format of the iPad by launching a suite of business apps to manage large volumes of contacts, calendar events, tasks and notes. Managing this wealth of data will be even easier with voice commands and dictation features that CompanionLink will integrate into their apps. A sign-up form for updates and announcements about CompanionLink’s new business apps for iPad is available at www.companionlink.com/ipad. Read CompanionLink’s press release on business apps for iPad here. This entry was posted in Announcements, CompanionLink Products, New Devices and tagged apps, calendar sync, contact sync, google sync, ipad, sync by Andy Sheragy. Bookmark the permalink.